Being the leader of the Hyakka, I devote my life to protecting the women of Yoshiwara. But sometimes I need a break too, and find pleasure in blogging for Otaku House. Our first Asian cosplayer to be featured in our Cosplayers from Around the World column is the gorgeous Suan Ng from exotic Malaysia. 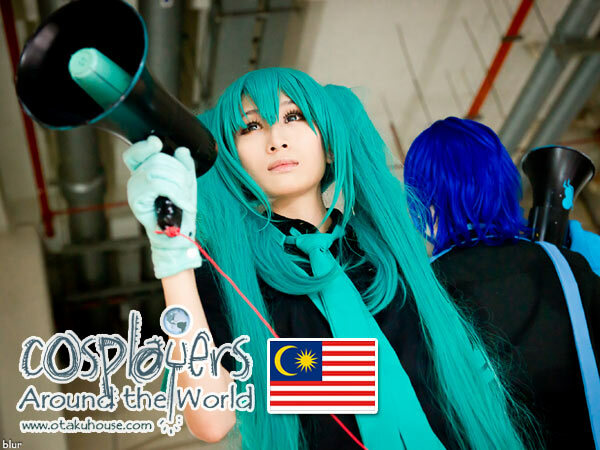 Suan Ng is currently one of the leading contestants in her group in the Otaku House Cosplay Idol 2011 Asia & Australia category. It’s been a month of intense battling for the Asians and Australians in Otaku House Cosplay Idol Group Album A, we bring you the current 30 leaders in this group. In this edition of Cosplayers from Around the World, we bring you Federica from Italy, who lives near Milan; the capital of fashion and style. Federica cosplays in a broad variety of characters from various series. Federica is also currently contesting in the Otaku House Cosplay Idol 2011 competition, Europe category. After the wide-eyed little brat does a transformation from cute baby Nel Tu into the Good-Lord-She-Is-So-Hot! Nelliel Tu Odelschwanck in Bleach, she became the most salivated after Arrancar this season. And cosplayers from around the world makes us happy with their portrayal of the former 3rd Arrancar in her full-woman glory. Posted on February 26, 2010 August 24, 2011 Author Tsukuyo NinWhy So Serious? Posted on January 20, 2010 August 24, 2011 Author Tsukuyo NinWhy So Serious?